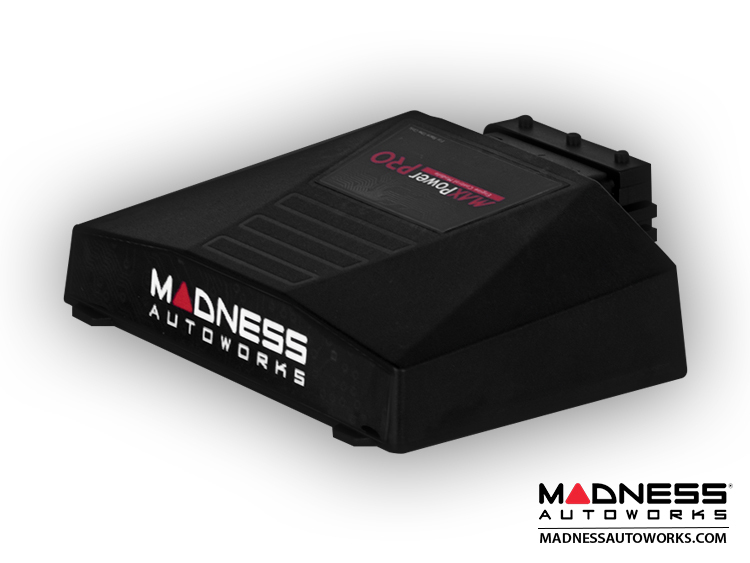 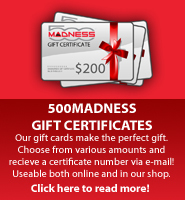 After years in development, thousands of trouble free test miles on our own FIAT 500 1.4L Turbo test vehicles along with a number of Independent FIAT Owners/ Beta Testers in North America, MADNESS Autoworks is excited to release the newest generation of Plug and Play Performance Modules for the FIAT 500 1.4L Turbo. 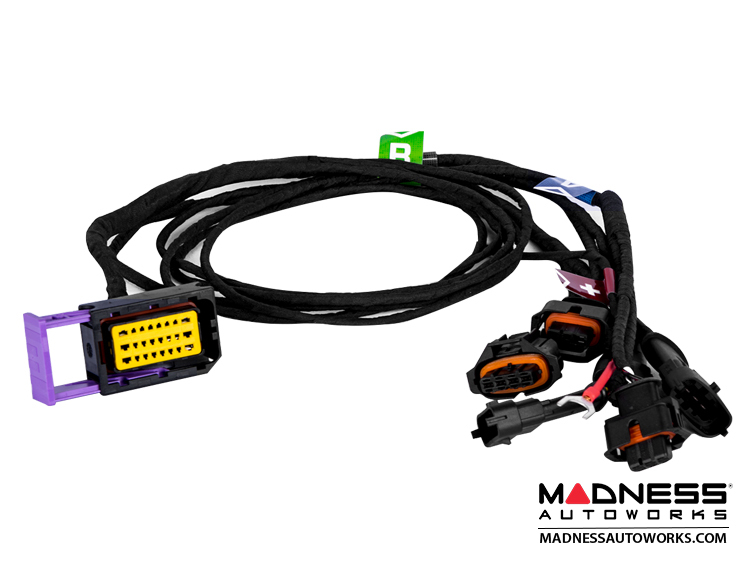 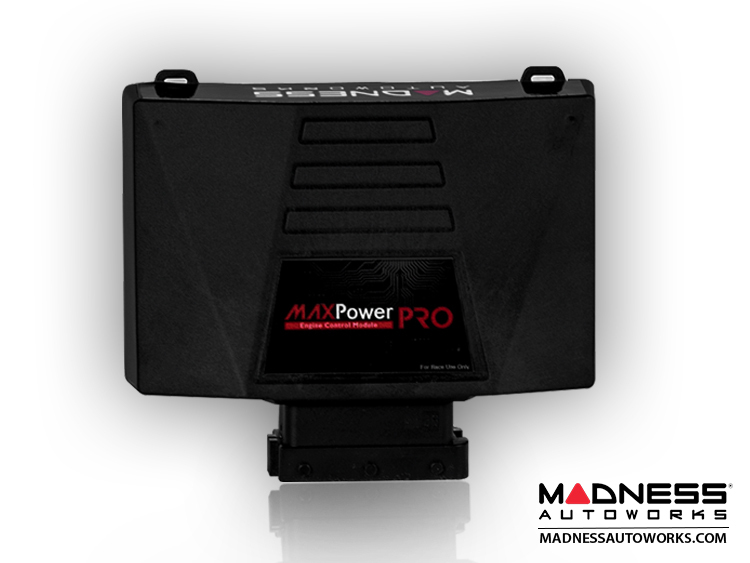 The new MAXPower Pro Engine Control Module is here! 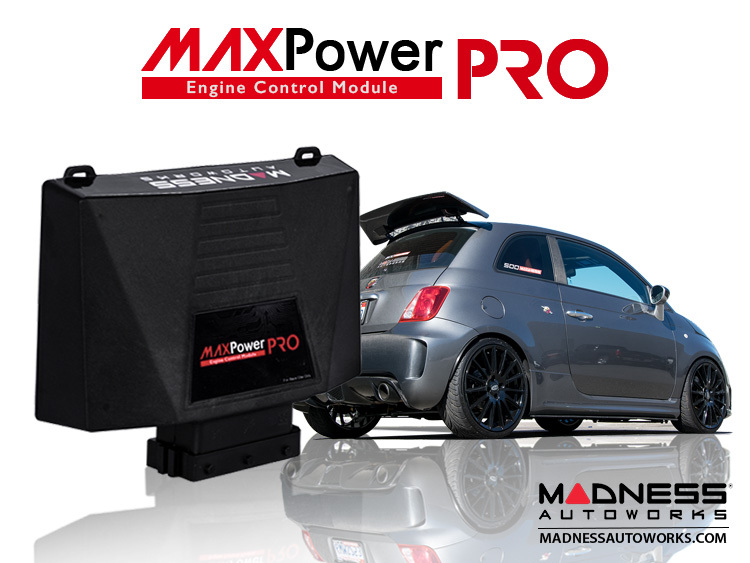 Independently, the MAXPower Pro makes a dramatic change in engine output and pulling power – when combined with our GOPedal and Autoflash modules (which are also 100% reversible/ removable), the FIAT 500 can be completely transformed into a something that truly punches above its weight class, and quickly reversed to factory spec for any service, inspection, or testing. Q. 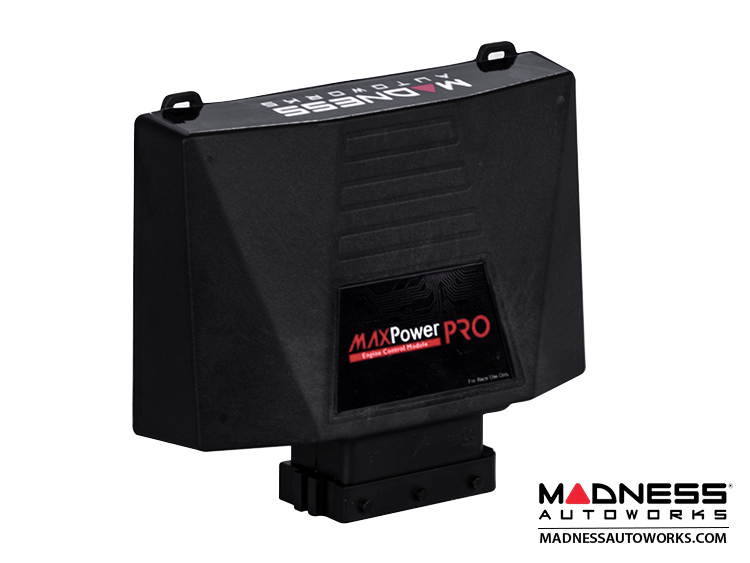 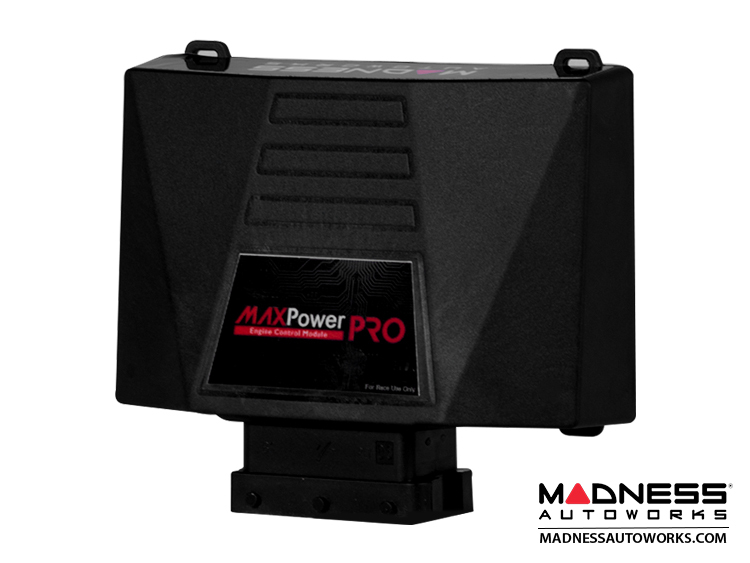 What can I expect once I install the MAXPower Pro on my FIAT 500?